Families looking for assisted living in Montana (MT) have a wide array of communities to choose from, since estimated that there are more than 30,000 assisted living communities serving seniors across the U.S., and over 64 statewide. The state is also home to a rapidly growing number of senior citizens, with adults over 65 making up an estimated 18 percent of the population. A resident in an assisted living community in Montana will pay $3,919 per month on average. As of 2018, our family advisors have helped more than 530 families in Montana find the right assisted living community. See more than 141 authentic verified reviews of assisted living communities across Montana from residents and their loved ones. 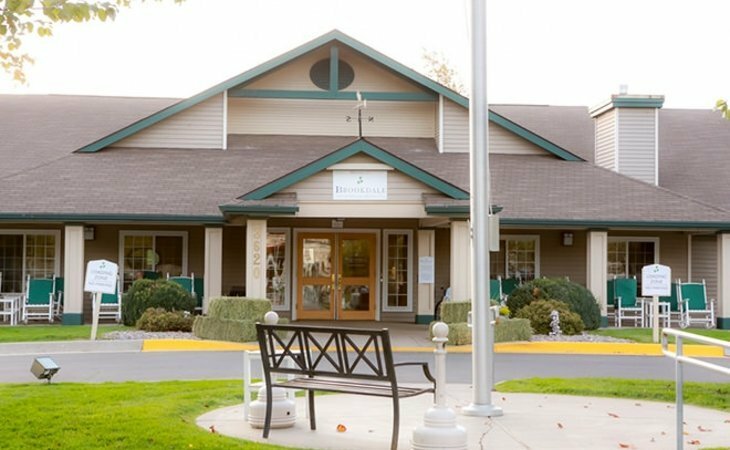 Browse our comprehensive directory of more than 64 assisted living communities statewide for photos and information about amenities, costs and more. Genworth lists the average cost of a private, one bedroom unit in an assisted living community in Montana as $4,036. This places Montana on the higher end of the scale at about $0 over the national average, and about $0 higher than the median cost of assisted living in nearby states. When estimating the cost of assisted living, it's important to know that average prices can differ significantly between various parts of Montana. The most affordable region in Montana for assisted living is Great Falls at $3,450. In Montana, assisted living communities are divided into three different categories, depending on the level of care they provide. Category A communities house residents who need help with three or fewer activities of daily living and can self-administer all of their medications. Category B facilities are for residents who need additional nursing assistance and are consistently and entirely dependent on assistance for four or more activities of daily living. Category C communities are for seniors who have cognitive impairments and are unable to express their needs or make basic self-care decisions. These are often called memory care units. The Montana Department of Health and Human Services offers the Big Sky Waiver program to low income individuals. This program offsets costs for assisted residential care, case management and a variety of personal care services. Any Montanan who is Medicaid eligible and has needs that require a nursing-home level of care may apply for this waiver. Applicants must call or be referred to the Mountain Pacific Quality Health Foundation at 1-800-219-7035. There is often a waiting list for this program. Supplemental Security Income- Category G, which may also be called SSI-G, is a federal program that pays out benefits to low-income seniors. While these funds are not earmarked for assisted living, they can be used to cover a qualifying resident’s room and board. In addition to what the federal government pays out, Montana also pays out a state supplement to further assist seniors. SSI-G is available to any Montana resident who is over the age of 65 and has insufficient or no income and less than $2,000 in assets. Montana offers numerous free assisted living resources that help seniors understand the care options available to them, as well as what programs and services their local community provides that could support their well-being and quality of life. Montana offers 10 Area Agencies on Aging. These public and private nonprofit agencies are under contract to the Aging Services Bureau of the Department of Public Health and Human Services. They offer a wide array of services to address the needs and concerns of Montana seniors at the local level. Area Agencies on Aging support seniors and their families by helping seniors find and access available services, provide opportunities for seniors to volunteer in their community and advocate on behalf of assisted living residents. Visit the Montana Area Agencies on Aging website to learn more about the services they provide or contact the individual offices listed below. Montana’s Veterans Affairs division supports military veterans and their families by providing emotional support for veterans who served in combat and raising awareness for the programs and services available to veterans. Seniors who are veterans may contact their local Veterans Affairs office to discuss what benefits are available to them and if assisted living care may be covered by the benefits they currently receive or qualify for. Local social security offices are a valuable resource for seniors. Here, seniors can apply for benefits and speak with an agent that can help them understand the benefits they receive or are entitled to. The Long-Term Care Ombudsman Program helps seniors and their families understand and exercise the rights that are guaranteed to them by law. The Ombudsman can resolve complaints and problems reported by assisted living residents, advocate for changes that would improve residents’ quality of life and investigate reports of abuse, exploitation and neglect. Montana's Ombudsman Program works through the ten Area Agencies on Aging and can be reached at the following addresses. Before a prospective resident is admitted to any assisted living community within the state, the community must conduct an initial assessment that determines the resident’s care needs. This assessment should cover areas such as their abilities relating to activities of daily living, physical or mental health, medication use and use of restraints and assistive devices. A Category A community may develop a service plan based on the initial assessment. After the senior has resided in the community for 60 days, the service plan can be reevaluated to ensure that it adequately meets the resident’s needs. In a Category B and Category C community, there is to be an additional assessment conducted within 21 days of admission that covers specific topics. This assessment is to be carried out by a licensed health care professional. If the resident’s care needs change, the service plan can be revised to accommodate their change in condition. Additionally, in a Category C community, there is a more thorough resident certification assessment that addresses the resident’s therapeutic needs and intervention techniques if the resident displays behaviors like wandering or has a marked change in judgment or behavior. All assisted living communities in Montana are equipped to admit residents with a range of strengths and disabilities. However, assisted living communities cannot admit those who are unable to respond to their environment, interact with caregivers and other residents, or demonstrate any independent activity. A Category A community is unable to admit someone who has Stage III or IV pressure sores, requires skilled nursing care, is unable to carry out four or more activities of daily living or is incapable of expressing their needs or making basic decisions regarding personal care. A resident in a Category A community cannot receive skilled nursing services for more than 30 days at a time and more than 120 days during a 12-month period. Communities that have a Category B endorsement can admit residents who need help with four or more activities of daily living and require skilled nursing care. They cannot accept residents who pose a danger to themselves or others, who require physical restraints or who are prone to wandering. Category C communities may serve residents who require assistance with all activities of daily living, are unable to make basic decisions regarding personal care and who are at risk of wandering to the point of leaving the facility. However, they cannot accept residents who are a danger to themselves or others. To be admitted into a Category B or C community, a resident must have a written order of admission and written orders for care from their medical practitioner. Assisted living communities in Montana are required to either provide or arrange provision for personal services like laundry and basic housekeeping, local transportation, assistance with the activities of daily living, assistance with using mobility devices, recreational activities, assistance with taking self-administered medications, 24-hour supervision by staff and arranging medical appointments. The Montana Big Sky Medicaid Waiver program allows older adults who require assistance with the activities of daily living to receive their care in an assisted living community rather than a nursing home. The waiver allows seniors to choose their care providers, although their chosen care provider must be approved by the state. In communities that were licensed prior to 2004, there may be up to four occupants in each bedroom. Communities that were licensed after 2004, as well as communities that serve residents who have cognitive impairments, must have no more than two residents in each bedroom. Residents must have access to a toilet room without having to pass through another resident’s room or a kitchen, dining or living area. Each community has to have one toilet for every four residents and one bathing facility for every 12 residents. Kitchens and kitchenettes are permitted in resident rooms as long as the resident’s care plan doesn’t restrict their use of kitchen appliances. If their care needs change, then the kitchen unit must be able to be removed or disconnected. All residents in Category A communities are required to be able to administer their own medications. In Category B communities, residents are encouraged to self-administer medications as long as they're able to do so. Residents in Category B or C communities who are unable to self-administer their medication must have their medications administered by a licensed health care professional. Medication organizers can be prepared by family members or caregivers up to four weeks in advance. Injectable medications may be prepared up to seven days in advance. Every assisted living community in Montana must have an administrator. Administrators are responsible for ensuring that the community operates according to Montana rules and regulations at all times and for the 24-hour supervision of the residents. When the administrator is off-duty, another staff member must be appointed as acting administrator. Administrators are also responsible for ensuring that there are enough qualified staff members to support the safety, care, well-being and health of residents. Category B communities must also employ or contract with an RN to provide or supervise nursing services. While Montana does not have minimum staffing ratios, state law does require that there be at least one staff member present at all time. Communities are to have enough staff members on duty around the clock to provide for the scheduled and unscheduled needs of residents. Category C facilities must have a 24-hour awake staff. Every new staff member must receive orientation and training that outlines their specific duties. This training should include an overview of the community’s policies and procedures, what services the community provides, residents’ rights and how to identify and prevent elder abuse. Direct care staff must be trained to provide the abdominal thrust maneuver and basic first aid. Every staff member should receive 16 hours annually of continuing education that is relevant to their duties and responsibilities. Administrators are responsible for developing procedures to ensure that each member of staff is carefully screened and assessed. This process should help the community identify prospective hires that may pose a threat to the health, safety or welfare of residents. The facility is required to check certified nursing assistants against the Nurse Aid Registry and keep records on file. In Montana, assisted living staff members, regardless of the capacity in which they serve, are required to report cases of elder abuse to the Department of Health and Human Services' Adult Protective Services Division.